Wow… Crochet being featured as the “Main display”… Who could imagine !!! 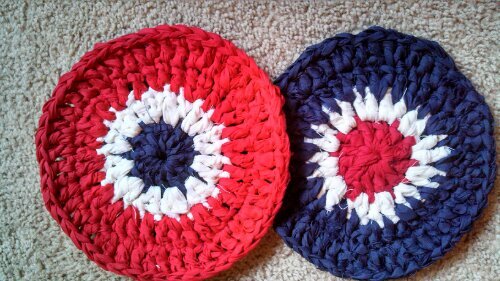 Not just your Grannies doilies anymore… Crochet is so popular, and I hope to show some of what can be done with a little yarn(or fabric) and a hook!!!. So if your close by this Friday,,, Come see me at Alpine Originals between 4pm – 8pm… 304 N. Mt. Shasta Blvd… Mt Shasta! So here is to The Art of Crochet and Tons of New Projects! You are so kind!! Thank you!! You have been a busy lady! Love your beautiful items. 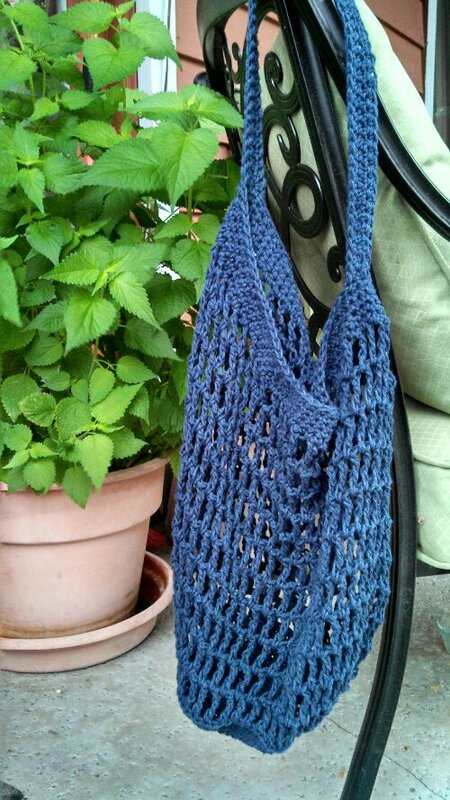 Do you share patterns for the above projects? 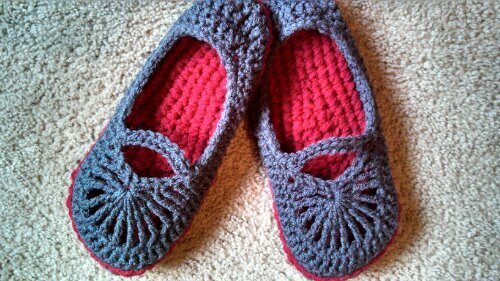 I always love to share… The slipper pattern can be found at http://hookcandy.com/… It is a purchase though from her sight… Well worth it.. 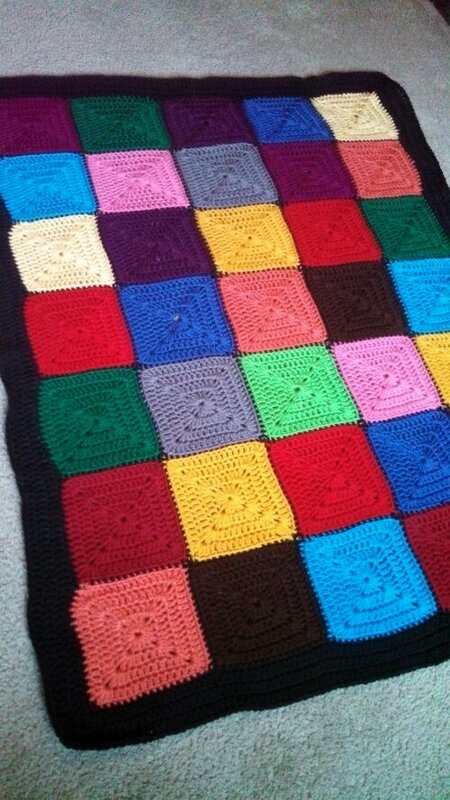 I make tons of these… I also bought the childrens pattern from her. 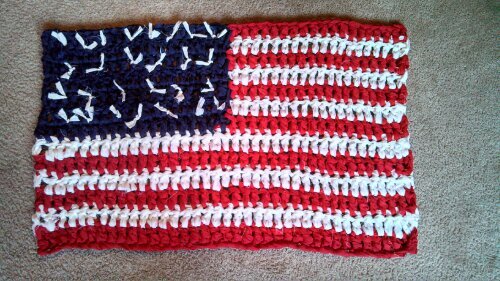 All the other items on the mega crochet post are one’s I made up and havent published yet, I will be working on those this summer and will post the details here on my blog. 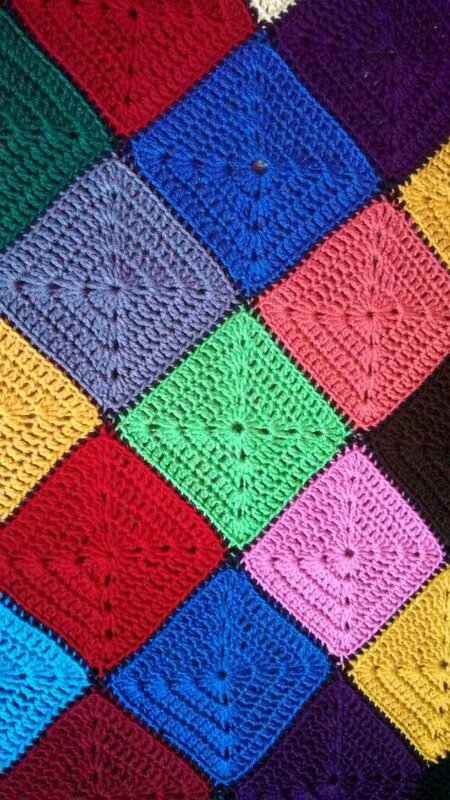 The True Color Afghan is just a basic double crochet Granny Square attached together by single crochet on the back side through the back loops of the edges of each square. I hope that helps and thanks for checking in at my blog!